Not much activity going here anymore. Sideshow Collectibles showed this today. Alien Queen. Expensive. $1,100. Not as good as the hive diorama they teased but cancelled years ago. That looks pretty damn sweet but way too expensive which is a common theme with Sideshow. What did the canceled hive diorama look like? There are some pictures in this topic. I think their best Alien statue is still one of the original ones. It goes for a lot of money now like many of their early statues. Ah I was hoping it was going to be a finished display of what it would have looked like but it doesn't seem they got that far. I think in that topic they have finished images of the full unpainted prototype. Unless it was on Photobucket and it's gone now. I remember it was very big. It was probably Sideshow's biggest diorama and I think the reason for the cancellation was it would be too expensive and prone to breakage in shipping. I think it was two levels or at least had the full representation of the hive with a few imprisoned people, the walls, eggs, Alien Queen egg sack, etc. People were going crazy about it. Sideshow Collectibles probably should have known from the sketch concept phase that the piece wasn't reasonable. 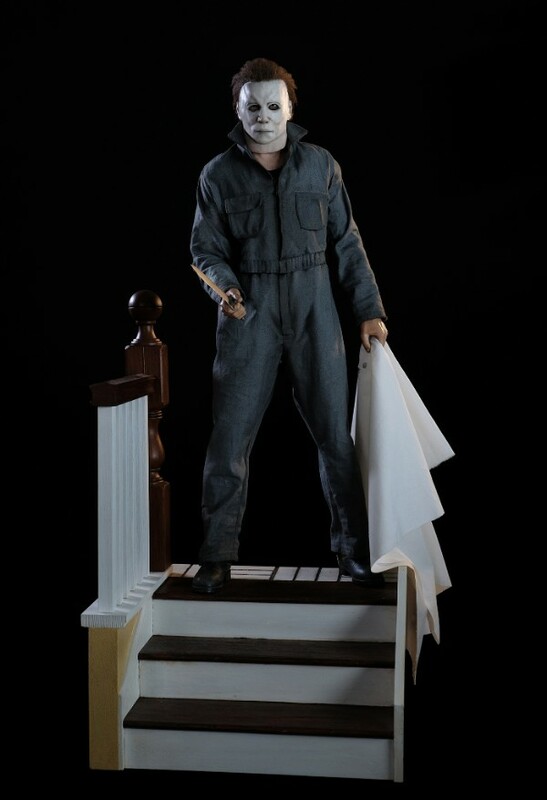 Halloween Myers statue from Pop Culture Shock was teased. I'm not an expert on the mask design. I know a few here are. But many people on the other forums are saying something isn't right. It does look odd. Pop Culture Shock says they are still working on the mask but I don't know why they would put this up for order next week if they are still working on it. And the whole thing is too clean, bright looking. From the image I posted on the previous page, I assumed the statue would be outside on a porch. I guess because of the pumpkin on the floor. But this looks like the inside of the house at the top of the stairs. It will probably be expensive too. Definite disappointment. 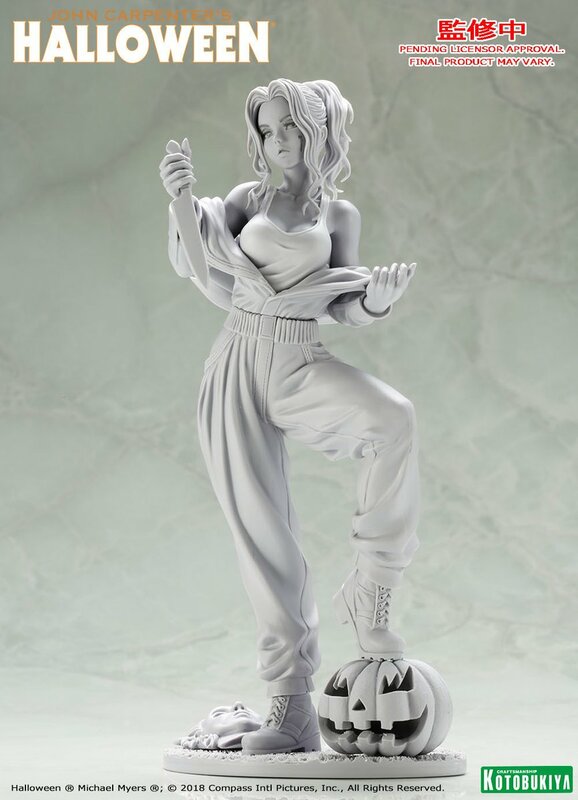 Watch the female Kotobukiya version somehow be better than this statue. I haven't finished watching the Monsterpalooza videos but this one is too good. Check out the base on that Medusa and the It clown. I still need to see the original and remake It. This company really goes all out on the bases. Matt89, Jamie, Natas and 2 others like this. Natas, Zombie Dude, othervoice1 and 1 other person like this. I belong to modeling (resin) kit groups on facebook. It's essentially a tight knit community that has some extremely talented sculpters, molders, and painters. You won't find stuff like this in shops, it's a hobby not an industry. Most of the kits you see me post range anywhere in price from $60 to $150 and are very limited. Those IT statues are crazy amazing. Wish I had a stack of cash to blow haha. 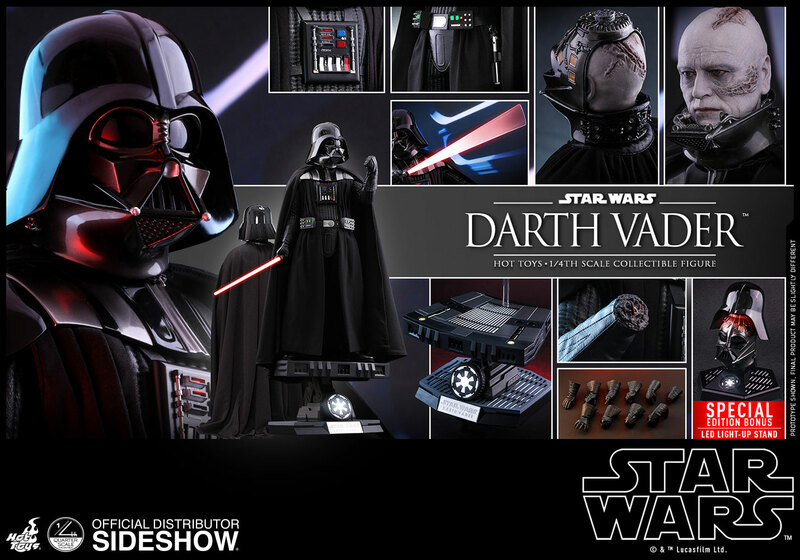 San Diego Comic Con is coming up soon and Sideshow Collectibles put up their Comic Con site. They are doing an announcement per day leading up to the convention. I'm watching for rewards points again. Need to save up for that free statue. 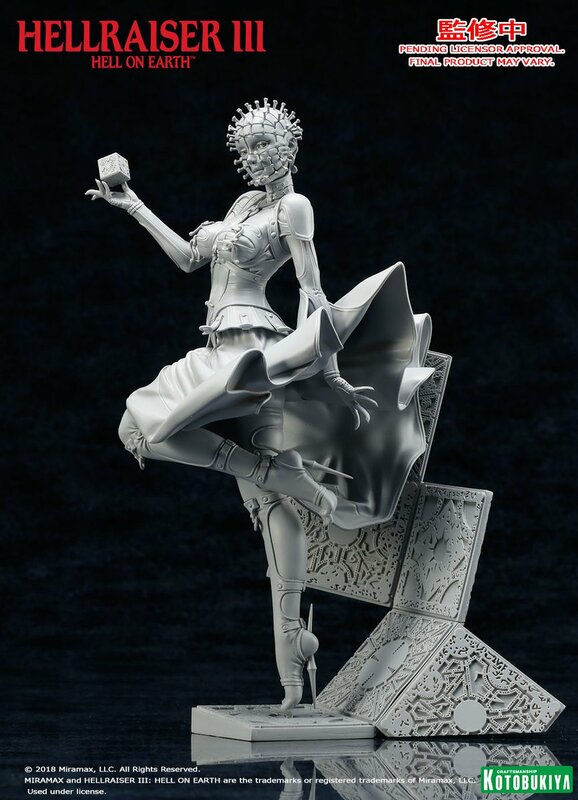 In other news, that Hell Priestess statue actually sold out quickly. It's on wait list status now. I hope waiting for the Kotobukiya version was wise. The Star Wars figures are really done well. Also liked the Batwoman statue. Of course for the price point they're only for the serious collector. I think I'm going to pick up a few of these smaller figures from Sideshow Collectibles. $89 each isn't bad for the detail. I assume they will make some angels for this collection one day. The one on the right has a defeated angel on the base. She's holding its wing. Tomorrow night we'll see more. Kotobukiya should have some of their horror characters too. Check out these Star Wars figures from Hot Toys. Quarter Scale Darth Vader and 1/6 Darth Maul. 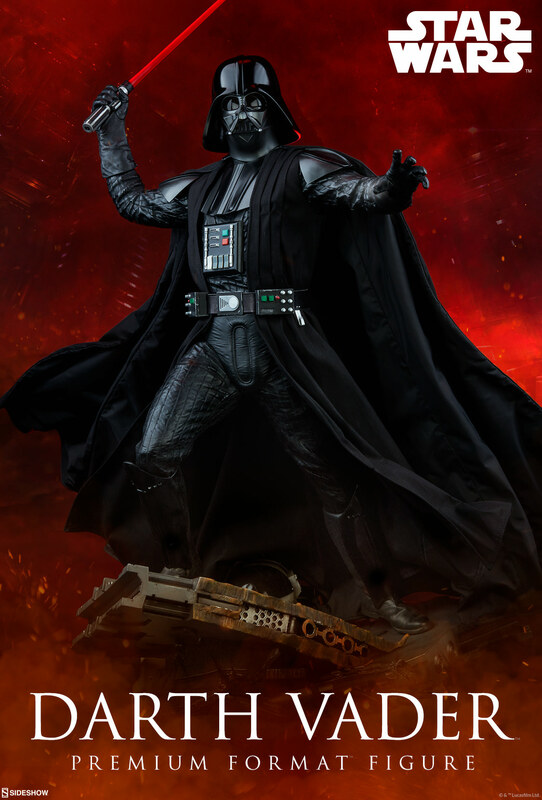 Sideshow Collectibles has a Rogue One Darth Vader coming out. But that Hot Toys version with all the display options will probably be the one to get. 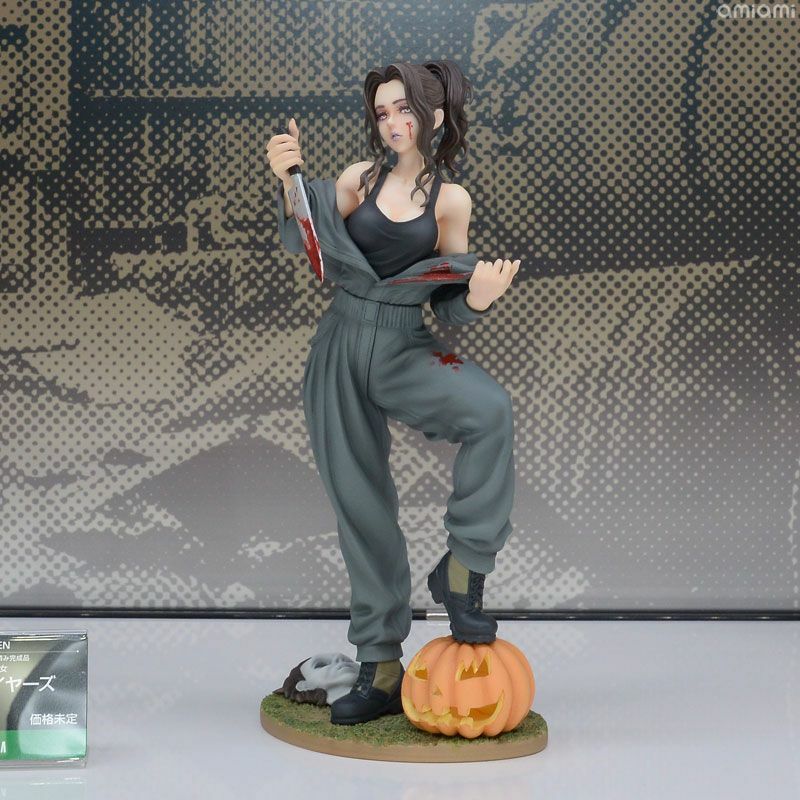 I don't know what kind of Myers Kotobukiya is making. But I think when painted this female Pinhead will be really nice. That base looks fantastic. 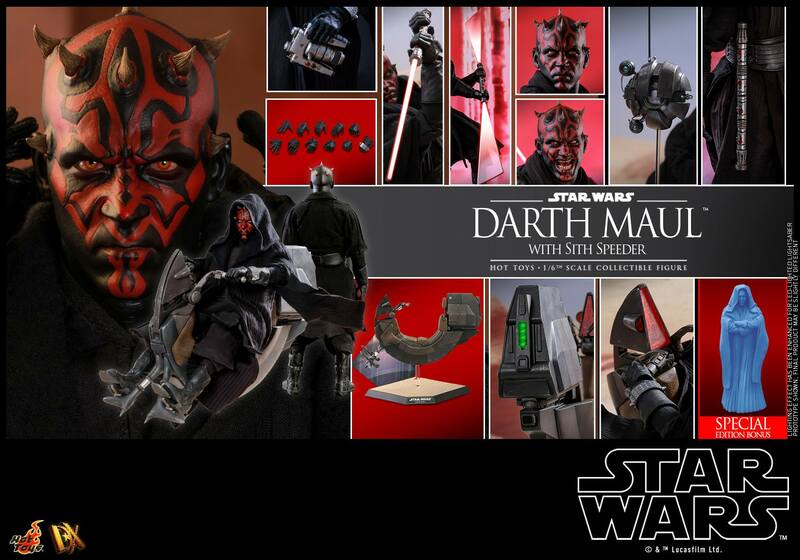 I really want to get the Darth Maul, probably without the speeder. I've wanted a good figure of him for a while. That Darth Vader figure looks sweet too. May have get that too. There are so many Darth Maul statues and figures. I think he was the best part of that first Star Wars prequel and has one of the best lightsaber fights in the series. The Hot Toys version will most likely be the best in terms of realism. I do wonder if they will come out with a Quarter Scale version in the future though. So far they made a Boba Fett Quarter Scale version. It wouldn't be a stretch to think they will make a Quarter Scale Darth Maul since they are 2 for 2 on the villains and no heroes yet. Darth Maul has such an iconic look. He's easily a favourite of mine. It's just sad how underused he was. New horror & science fiction statues from a convention in Japan. 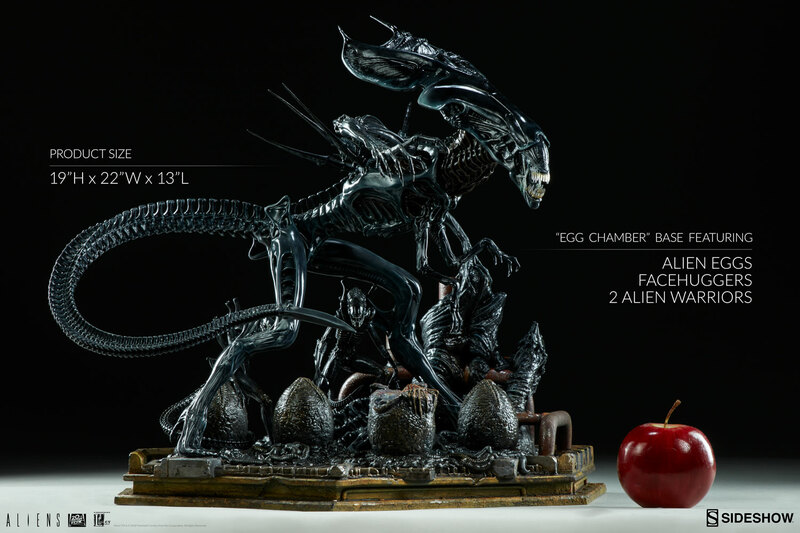 This new Alien statue is probably the second best after that Sideshow Collectibles one I posted with the video. The IT creature is popular. Along with this new one and the one I posted before, I saw one at Comic Con on top of a coffin like the scene from the movie. I can't remember the company who made it or find the image right now. I'm still not crazy about the new Predator design. But those comic Predators make me want to re-read my copy of the Alien vs Predator graphic novel. Someone on youtube made good videos of these. 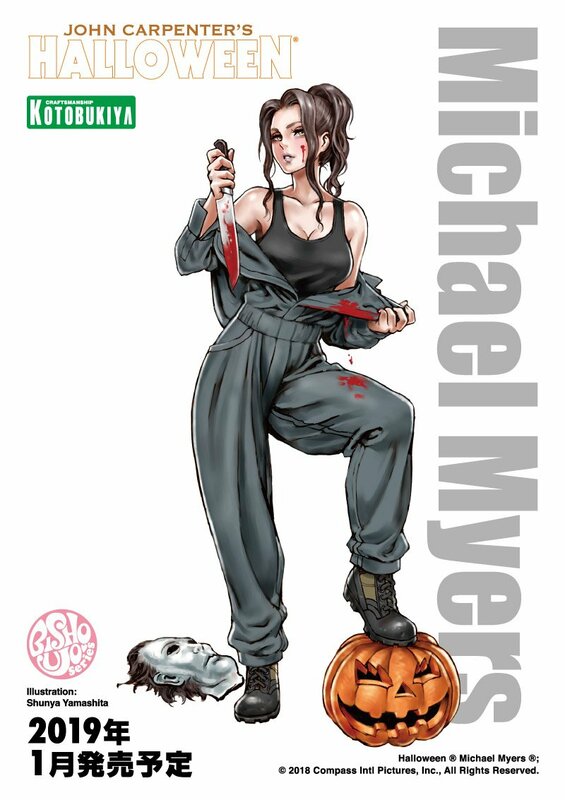 I don't know what kind of Myers this is. I think these will now be mostly miss for me except for the occasional one that is close to the character. That female Chucky is good. I've only seen the first movie so I can't speak to that one with Chucky's girlfriend. Pinhead is still dependent on the paint but should be cool. If they ever get around to Samara from The Ring that should be a good one. I think this is their most expensive one at $109 retail. Lucky that there aren't any extra parts like on Chucky. I can wait and see what price Amazon might have with discounts even though I don't like using Amazon. It will probably be too long a wait between the March 2019 release and Kotobukiya's holiday sales.